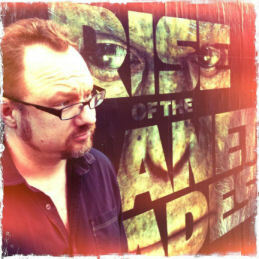 Tomorrow night, Tuesday, February 28, 2012, writer Drew Gaska, will be joining us for an online Creators Workshop discussion! Drew is the founder and creative director of BLAM! Ventures, a guerilla design studio that produces print and digital media for the comic book and science fiction industry. 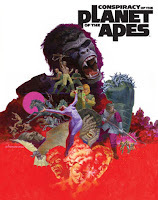 Drew’s novel, Conspiracy of the Planet of the Apes, and his science fiction graphic novel epic, Critical Millennium, are both published by Archaia Entertainment, and have both been released to critical acclaim. Conspiracy is an illustrated novel set during the classic 1968 film and was the first prose novel from Archaia, and the first Planet of the Apes offering from the joint venture of BLAM! Ventures, Archaia, and FOX. In addition to his writing work, Drew has spent over a decade as a freelance consultant for Rockstar Games on such hit titles as Grand Theft Auto, Red Dead Redemption, and all other major Rockstar Games releases. Mr. Gaska is currently writing and directing a Space: 1999 revival graphic novel and digital media series, as well as working on other comic and science fiction novel projects. Look for SPACE: 1999 Book 1 – Aftershock and Awe, available Fall of 2012. 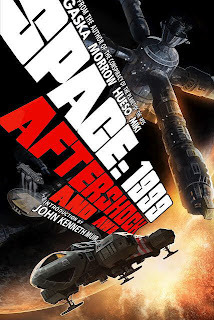 SPACE: 1999 Aftershock And Awe has been called "a perfect introduction to sci-fi’s lost gothic space odyssey." Aftershock takes place in an alternate universe where JFK was never assassinated, mankind has already suffered through World War III, unified in a world government, and built a base on the moon by the year 1999. And the story continues in Awe, which adapts the pilot episode of SPACE: 1999 "Breakaway," from the point of view of the heroes of Moonbase Alpha -- expanded to include both new and unfilmed material, and utilizing the remastered art of comics legend Gray Morrow as a basis for this revolutionary retelling. Join us at the Creators Workshop to take part in what's sure to be a great discussion with Drew!